Hello, I am Shamoon. 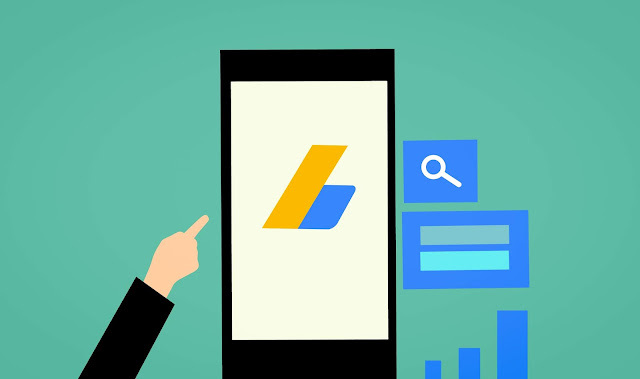 Today I am going to share with you how to approve Adsense account with blogger this is the topic of our article now let's go to the point. Some people come to blogger for blogging and they do blogging for some time. for Adsense approval only. they don't think about visitors. about their blog, pages, menus etc. they think about only earnings and Adsense approval that's why they don't success and Adsense don't give them approval. but today we shall learn about how to Approve Adsense Account with Blogger but this article is for them who have skills and who really want Adsense Account. Note: This article is not for demotivating you. Do hard work. I hope you will get success. All person who creates a blog wants Adsense Approval because Adsense is the biggest network in the world and Adsense gives high CPC and RPM. I think almost all bloggers use Adsense to monetizing their blog. And some pro bloggers also use Affiliate Marketing because Affiliate Marketing is also a good way to monetize the blog. but some bloggers who have no money to create a blog with a top-level domain and hosting they make blogs on bogger and use the free domain. and they want to make money with Adsense but now Adsense program is very strict. This process is not very hard for that person who does hard work daily on his blog. Adsense doesn't give approval for the subdomain. Like - blogspot.com and wordpress.com etc. But today I will share with you my personal methods for Adsense Approval with a free domain. Like - .tk and .ml etc. I hope you will get approval. This is a common question for bloggers but because Adsense doesn't approve every account. But now I will share with you some reasons of why Adsense don't Approve your Account. Note: these reasons are my experience. Copy Content - this is the main reason some bloggers copy other blog content and past that on his blog. That's why they don't get Adsense Approval. Please don't copy other's content if you want to Approve your Adsense Account. Artice length - article length also plays the big role in blogging. I suggest you for 700 to 1000 words article. Some bloggers write 2000 to 3000 words article but they are pro bloggers. This is your startup so I suggest you for 700 to 1000 words article. And if you want to write big length articles so you could write 2000 to 3000 words. These reasons are my experience and I know these are the main. If you do these things. So stop today and delete all copied content and create pages that I have told you in above. Now let's talk about How to Approve Adsense Account with Blogger. Note: These reasons do not work 100%. But if you will do hard work then you will 100% get approval by Adsense. Content is king all bloggers say this because this is the right thing and main thing If you have quality content so Adsense 90% give you approval for your blog. But this wi happen when you will write 100% unique content and above 500-700 words. Some black hat webmasters say that write 100-200 words article is enough this is a totally wrong thing. If you will write 100% unique and 500-700 words article then Adsense will give you approval. In certain countries like - India and China, these are a requirement for 6 months old for the domain to apply for Adsense. But some bloggers get approve in 2 month and 1-month-old domain. This is why because they write 100% unique and 500-700 words content. But I suggest you for a 6-month-old domain because this statement has told by the Adsense team. Some bloggers apply for Adsense when they have 5-10 articles or posts that's why they don't get approval. You should have 20-25 posts on your whole blog and all posts should be unique and over 500-700 words then it will work. And don't blank your categories. You should have minimum 3-4 posts in one category. Google Adsense does not approve blog who have copyrighted content. When you write a post so, please choose a copyright free image. You could choose from a site like - Pixabay, Pexels etc. You can download from here copyright free images for free but if you want paid images then you could go to paid sites like - Shutterstock etc. Be serious to choose images for content. Your blog design plays a big role in blogging. Adsense love the simple design of blog/website. So, make sure that you have a simple and nice looking header, footer, content area and sidebar etc. If your visitors like your structure Adsense would definitely like it. The first impression of your blog comes with your design. You may use any nice theme (free or paid) this does not matter. Now if you follow all the above-mentioned tips, you are most likely to get your Adsense approval account. I hope you like this post.